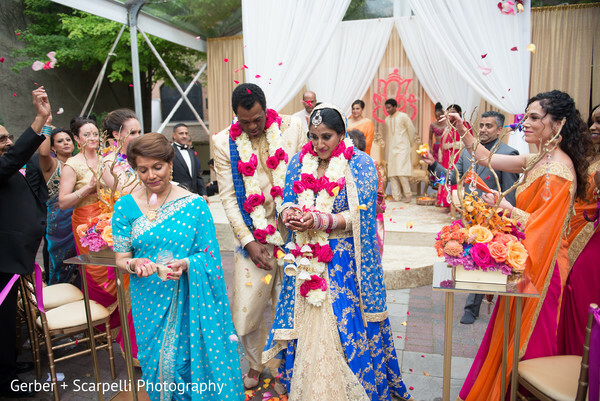 Here at Maharani Weddings, we love outdoor Indian events. 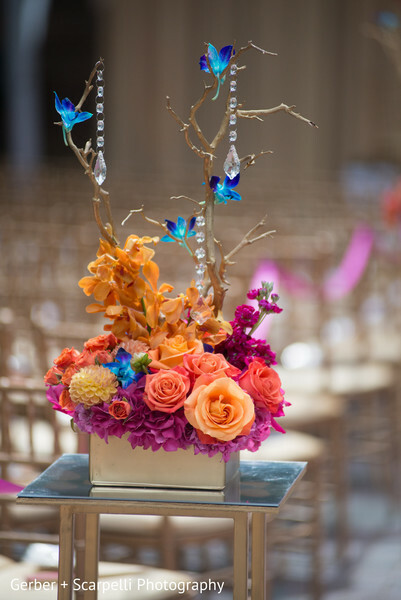 Especially when planning and decor aficionados from Events by Nisar and Shaadi Creations - Sonal Patel arrive bright and early to transform a venue into a magical dream come true. 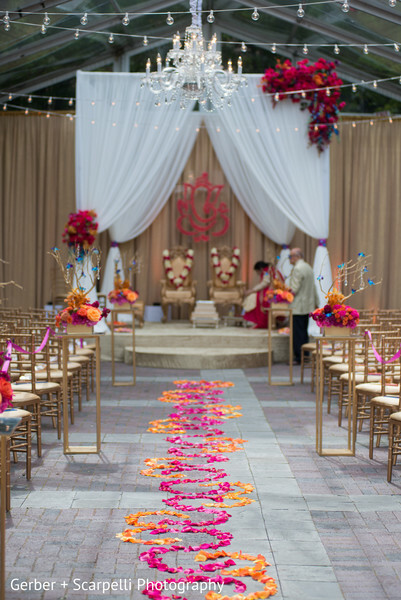 Shaadi Creations - Sonal Patel brought in tons of cheery orange blooms, fairy lights, and gauzy fabrics to transform the outdoor courtyard of the Chicago Illuminating Company into a total romantic paradise. 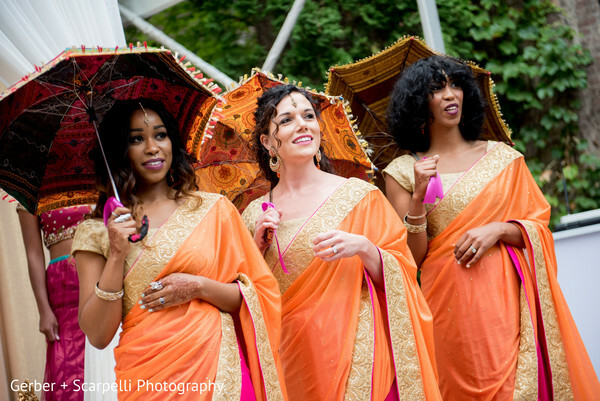 And we’re loving the bridesmaids ensembles of vibrant orange saris paired with whimsical parasols. So adorable! 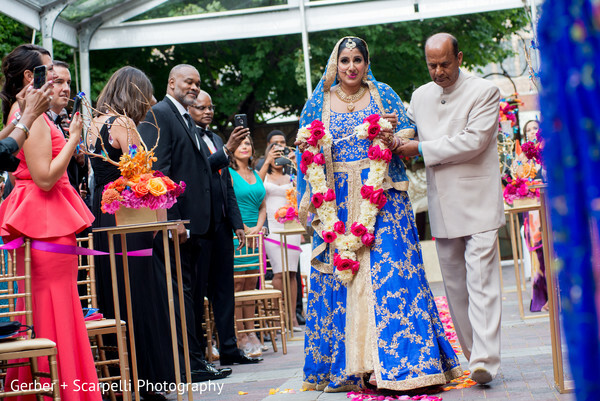 The most stunning part of the day was Reena, who sparkled in a blue lehenga and regal jewels. 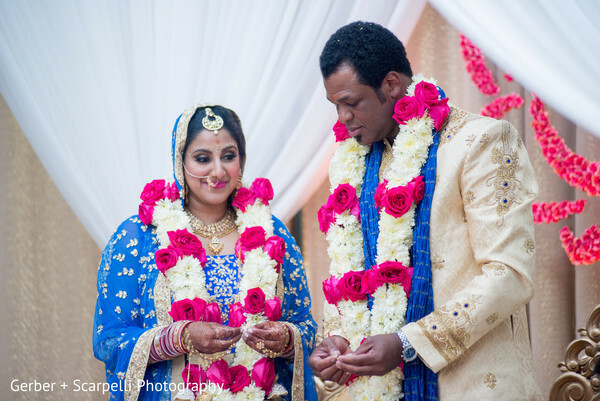 As she reached the mandap, she was accompanied by her handsome beau Pete, and the two looked so thrilled at the sight of one another. 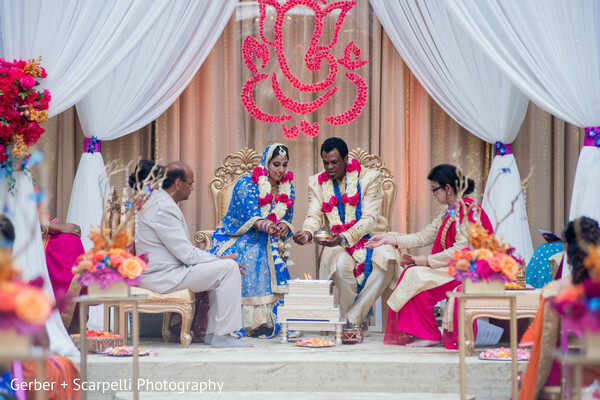 A lovely Ganesh backdrop sat gallantly on stage, perfect for blessing this couple on their auspicious new partnership as husband and wife. 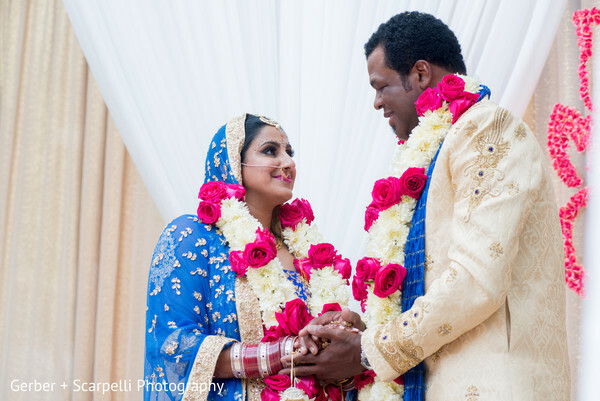 As the newlyweds were pronounced Mr. and Mrs., they were whisked from the venue in a shower of petals. 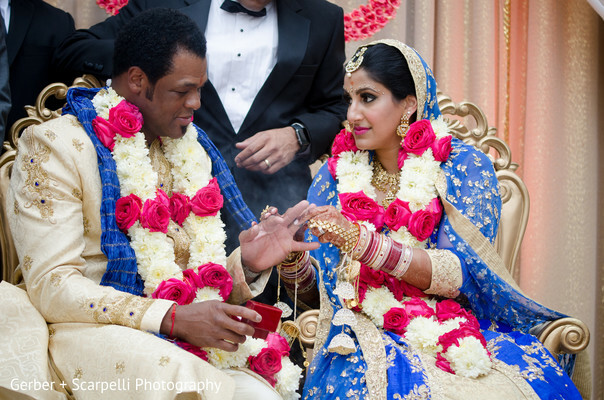 We have tons more images captured by Gerber & Scarpelli awaiting you in the full gallery! 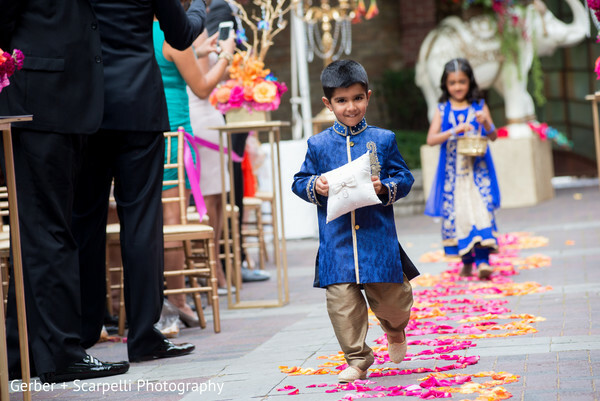 When we return, we'll dive into the reception celebrations, with musical entertainment by DJ Aumir Ahmad from Escape Entertainment.